An amateur study in trash reappropriation and the power of gauze devotion, FRKSE stitches together the S/T cassette with garbage compacted drum breaks, soiled bass guitar riffs, synth piety, and rosewater drones to create a secret devotional hymn spanning about 40 minutes. With an early-era Swans like ferocity, the S/T appears on an olive tape anointed with post-religious artwork courtesy of Albane. 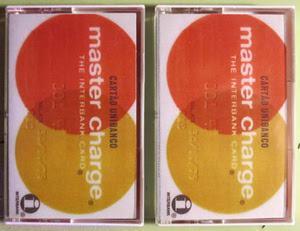 A wondrous treat for those looking for a way out, the cassette version comes with two bonus tracks. Limited to 250. 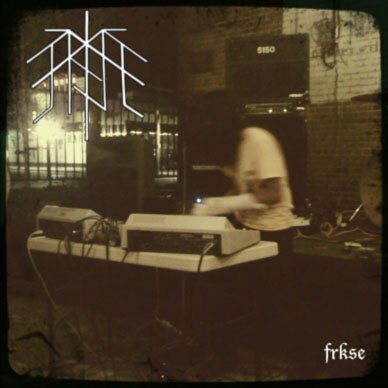 FRKSE is Rajbot - originally from Reno, NV - transported to Jamaica Plain, MA - FRKSE is a beat producer that is interested in metal/thrash/noise/experimental sounds. FRKSE is from India culturally and his style of musical sound bares distinct influence of India. 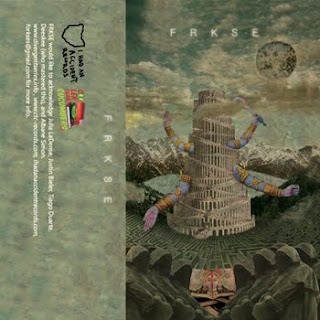 FRKSE enjoys a good fallalfal from time to time and runs his own imprint "Divergent Series" and writes for UGS Mag. 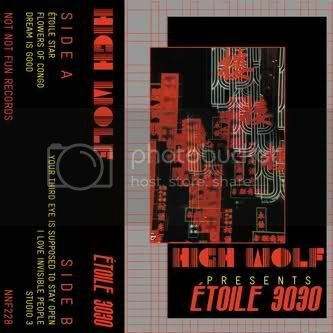 Not Not Fun plays medium to yet another fine release from ritualistic loop-hound High Wolf.Six new tracks of treated analog smoke-outs and digital-drum circles by the name of Etoile 3030.Traveling the same winding, hidden path that the Ascension LP guided us down, High Wolf continues their journey through other-worldly drones and sticky electronic pulses.Flowers of Congo is a lengthy bender of wah-laced guitars that tunnel their way through the piles of synth and organ rubble, gently tiptoeing atop a thin layer of icy drum loops.Bass lines The layers of stumbling synth wash and woozy guitar noodling might bring the mystical space-dub of Sun Araw to mind, as well as other like-minded psych dudes, but High Wolf continues to create their own colorful realms.Their world is one of contrasting themes, a place built on blatant repetition, yet it survives solely on constantly shifting rhythmic patterns and never-ending audible boundaries.Clusters of purple clouds linger above, and a heavy downpour of glittery tones soaks the soil below.As the red sun's neon rays find their way through the clouds, unfamiliar new sounds sprout up from the ground and start to grow wildly.Etoile 3030 is HW's most accessible dream inducer to date, and will hold you over until they drop their new full length this spring.Artwork by L.A. Vamp/Pocahaunted voice Amanda Brown.Limited to 150. 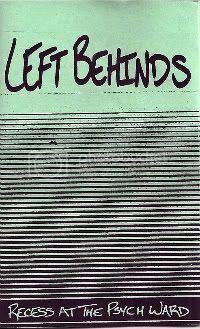 LEFT BEHINDS "Recess at the Psych Ward"
This is something I'd like to see more often: bands mining the rich and deep vein that perhaps produced the most glowing ore on the Meat Puppets first record and slightly less so on the Sun City Girls "Midnight Cowboys from Ipanema". Frantically destroyed country/surf/punk riffs with muppet vocals. Maybe this band is secretly from Arizona? These songs were all made up on the spot and they've got great titles like "The Emperor's New Record Collection" and "The Tadpole's New Motorized Wheelchair". Web stuff here: http://tamperedreels.tumblr.com/ or you send $3 post paid to Tampered Reels 64 Riverside Dr. Florence, MA if your interested in getting a tape. This kind of sprawling, minimal electronic noodling is pretty much everywhere these days.With some amazing acts like Emeralds, Oneohtrix Point Never and Arp churning out such massive and well received records as of late, most things of this nature get tagged as "ripoffs" and such, and are quickly discounted and pushed aside.But, every so often, something comes along to remind us that big things still come in tiny packages.Such is the case with Pedro Magina's latest cassette, "Nineteen Hundred and Eighty Five".The faded old credit card imagery on the cover doesn't give any real insight to what you will hear, which made this listen all the more worthwhile.Magina shows his love for the 80's at every turn, with a literal slew of synthesizers, electric organs, vibes and analog sounds of future's past.It's not entirely too heavy on futuristic retro junk, or generic nostalgia whatsoever.Instead, Magina's created a focused and full-bodied collection of songs, and each one is more compelling and memorable than the last.His miniature epics are like gentle streams of subtle melodies and bright arpeggios, trickling down into a much larger riverbed of strings and deep chord structures.Nothing repeats itself all that much, but this is far from "jamming".A surprisingly fresh and fun take on a somewhat overexposed genre.Highly Recommended. Head over to NNF and pick one up.